Because my summer wasn't busy enough, I've decided to pack my calender this fall as well. I've got several library programs coming up, including one on October 11 at a small branch for my former employer. 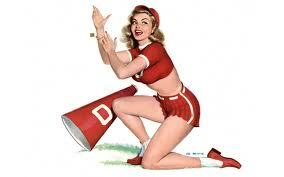 The topic du jour will be new and upcoming romance releases, plus what is hot and trendy at the moment. I thought it might be fun to offer up some swag for attendees. So romance authors - if you have swag you'd like to unload (and if you have a recent or fall release, even better!) please e-mail me if you're interested in sending me some goodies. Again, the program is October 11, and the last time I did a program at this location about a dozen folks showed up. So really, I wouldn't need a ton of stuff. Well, except for maybe bookmarks. I'm sure the library would love any leftover bookmarks. 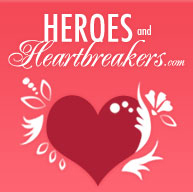 In other news, I've had two posts go live over at Heroes & Heartbreakers. First, my monthly round-up of unusual historicals - which Holy Hannah, Samhain decided to publish several westerns this past month. Huzzah! And speaking of westerns - I've got a First Look of the latest Rosanne Bittner offering, Desperate Hearts. This isn't a traditional review, per se - more like an extended glimpse of what the story is about. For me, personally, it wasn't one of Bittner's finer offerings. It was one of those City Gal Heads To Middle Of Nowhere And Has No Clue What She's Gotten Herself Into stories - and honestly, I'm just not a fan of those. I read westerns to get away from heroines like that, so this read like an extended Rescue Fantasy to me and.....meh. But if you like that sort of plot - then certainly worth a look. In the meantime, I'm looking forward to next summer when Sourcebooks will be reprinting one of Bittner's Old School meaty sagas, Outlaw Hearts. I think I'm going to have to get me that there Rosanne Bittner book. She's one of my favourite Western authors and I've missed her lately. Plus the publisher is one of a very few here in Canada that price their ebooks cheaper than print. Kristie: She had a new one before Desperate Hearts that I liked a bit better (although I wasn't in love with it) - Paradise Valley. Sourcebooks also reprinted two of her oldies - Wildest Dreams (which I really liked - very much a saga) and Thunder on the Plains (a DNF for me - simply not my cuppa). Those last two were reprinted in trade paperback, but the digital cost is very reasonable.